Built-in storage alone doesn't make the new Tablo better. 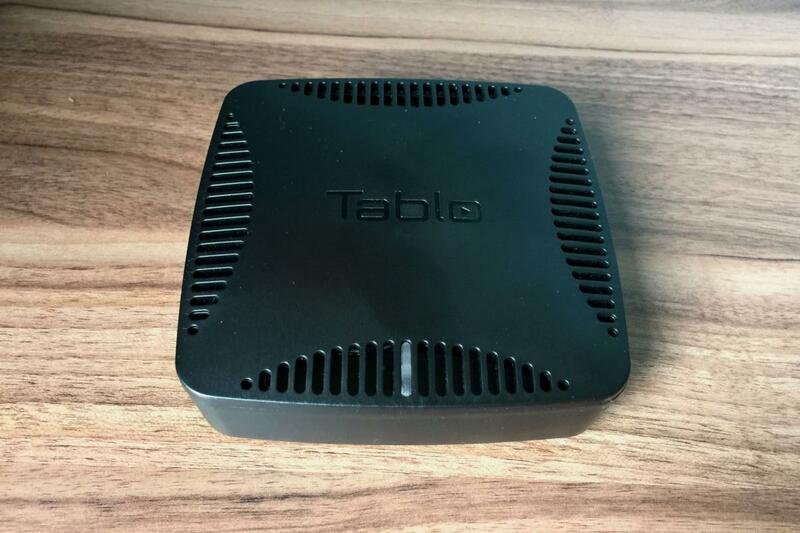 From a marketing perspective, it’s easy to understand why the new Tablo Dual DVR exists. 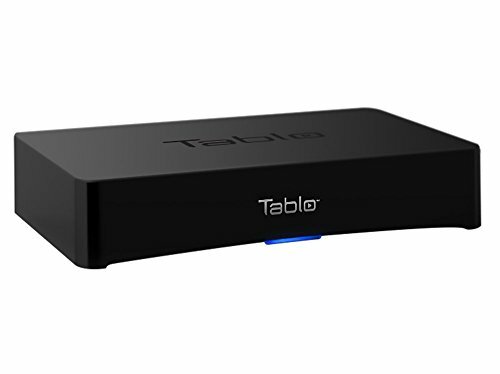 Unlike its predecessor, which required users to bring their own hard drives, the $250 (since reduced to $200) Tablo Dual has 64GB of built-in storage, so users can start watching and recording free broadcast channels with just the box and an over-the-air antenna. That makes the Tablo proposition much simpler at a retail store like Best Buy, which will sell the Dual exclusively in the United States. As with the original Tablo, the Tablo Dual doesn’t connect directly to televisions. Instead, users can set it up wherever antenna reception is best and use an app to connect the device to their home network. 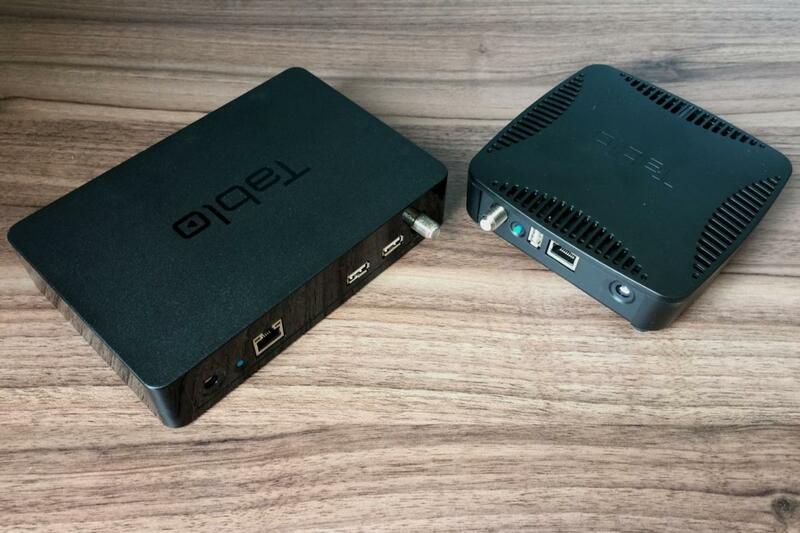 Tablo then streams live and recorded TV to other networked devices, including streaming boxes, game consoles, phones, tablets, computers, and some smart TVs. Tablo lets you watch live and recorded TV across lots of connected devices. Tablo says the internal storage allows up to 40 hours of HD recording, though that’s only if you stick to the device’s default quality setting of 3Mbps, which limits videos to 720p resolution at 30 frames per second. Dial the quality up to 1080i and 720p at 60 frames per second, and the available recording time can drop by more than half. Unless you mainly intend to use the Tablo Dual for watching live TV, you’ll likely need an external drive before long. Storage aside, the new Tablo Dual has two major differences from its predecessor: It comes in a redesigned enclosure that’s about 20 percent smaller, and it only has one USB port for external storage instead of two. But we’re disappointed with the decision to stick with an 802.11n Wi-Fi adapter, even if it is a dual-band model. The 5GHz frequency band is much less congested than the 2.4GHz band, but the 802.11ac standard delivers longer range and it uses bandwidth much more efficiently. On the other hand, if you connect the Tablo Dual directly to your router with an ethernet cable, the wireless connection won’t matter. Old Tablo two-tuner DVR on the left; new Tablo Dual DVR on the right. Unfortunately, the original Tablo’s biggest hardware problems persist in the new model. The device doesn’t support interpolation for 1080i channels, so in some cases you won’t get smooth motion for sports, news, and talk shows. Also, Tablo still converts all video to HTTP Live Streaming, even for devices that support broadcast TV’s native MPEG-2 format. That means each channel will take around 15 seconds to load initially, and will be behind the live broadcast by a similar amount of time. Tablo does cache previously visited channels for faster flipping back-and-forth, but only for two channels at a time. 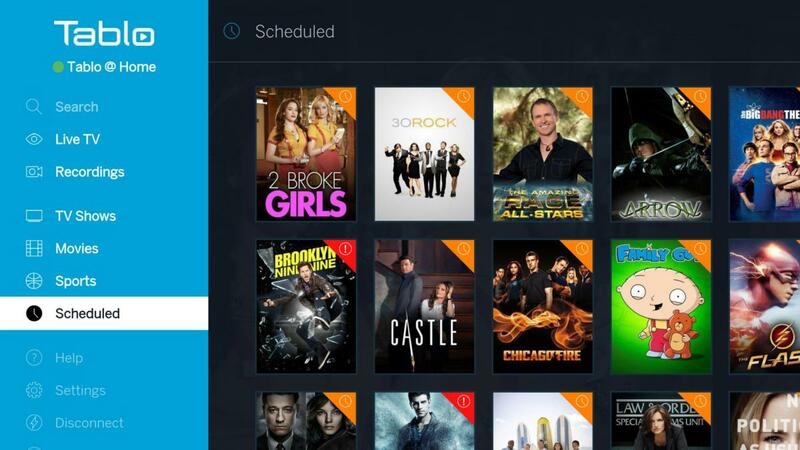 Thankfully, the Tablo Dual still takes an optional approach to subscription DVR service. The free service offers one day of guide data and the ability to set manual recordings. For $5 per month, $50 per year, or $150 for life, users get 14 days of guide data, cover art, detailed show descriptions, various browsing filters, and streaming outside the home. For better and for worse, Tablo’s apps are also unchanged with the new hardware. Tablo’s device support remains excellent, with apps for iOS, Android, Fire tablets, Amazon Fire TV, Android TV, Apple TV, Chromecast, Roku, LG WebOS smart TVs, Xbox One, and the web. Tablo also offers an add-on for the media center program Kodi. Through those apps, you can browse a grid-based channel guide, set up recordings, and search for shows by name. You can also filter for just movies, TV shows, or sports on most devices (with the exception of Roku), and you can drill down from those filters into individual genres. 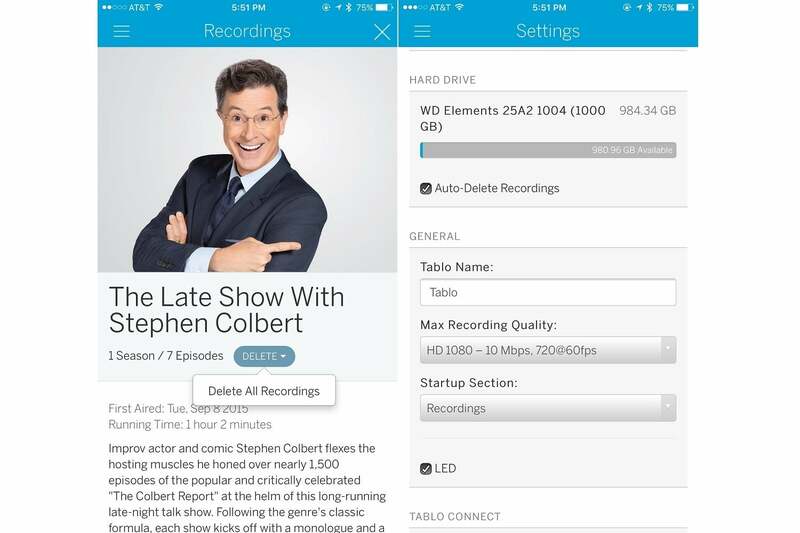 Tablo provides lots of ways to browse over-the-air content. Tablo’s recording options aren’t nearly as granular. You can’t, for instance, record only a certain number of recent episodes from a given show, and the only way to set up recording buffers is to schedule a manual recording for a specific time and date. Tablo also doesn’t let you avoid standard-definition recordings, or filter specific channels for series-based recordings. In lieu of those controls, the only way manage storage on the Tablo—besides just manually deleting things—is to protect the recordings you care about and have the system auto-delete older ones as space fills up. The Tablo Dual’s meager 64GB of built-in storage only underscores the need for more proactive ways to keep storage consumption down. Tablo doesn’t provide much help in keeping storage space from filling up. Tablo’s software has also suffered from rough edges in the past, and this seems this has carried over the the Dual. After increasing recording quality to the highest level, the device’s on-board storage quickly ran out of space, at which point it started failing to load live TV channels. Deleting some of those recordings resolved the problem, but Tablo’s software ought to do that automatically. In addition, I had some issues with reformatting the USB drive that Tablo provided for review. At first, Tablo failed to format the drive properly, saying it was “temporarily unavailable.” Unplugging and reconnecting the drive triggered a proper format, but live channels failed to load until I restarted the device. 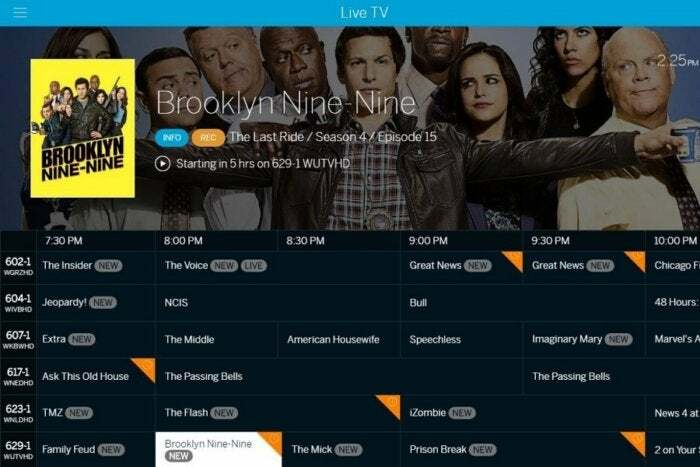 Despite those flaws, Tablo is still the best over-the-air DVR solution for most people, thanks to its straightforward setup and broad device support. With built-in storage, the Tablo Dual arguably makes things even simpler. But because Tablo hasn’t resolved any of its existing weaknesses, Tablo Dual isn’t a meaningful improvement over its predecessor. The 64GB of built-in storage isn’t enough for serious DVR use, especially if you’re a stickler for video quality. A strong case remains for buying the older, cheaper Tablo two-tuner DVR instead. We can only hope the folks who happen upon the Tablo Dual at Best Buy do some research and make the right decision. Correction: The Tablo Dual is equipped with a dual-band 802.11n Wi-Fi adapter, not an 802.11ac adapter.